enforcement of foreign arbitral awards. 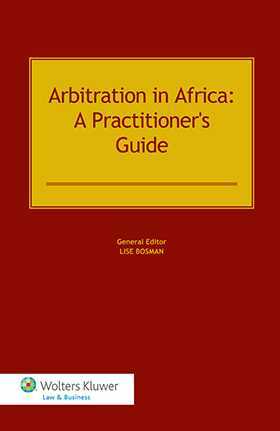 A sixth section focuses on Africa-based investor-State arbitration, providing an empirical analysis of the experience and record of African States with investment treaties and investor-State arbitration. Useful tables of intra-African bilateral investment treaties, a list of ICSID proceedings involving African States, and other tabular features round out the volume. The book will be welcomed by arbitration practitioners and legal academics everywhere as the essential guiding light in what is rapidly becoming a crucially important area of international arbitration practice. Part 1: Southern Africa. 1. 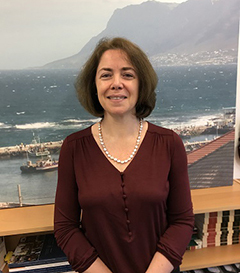 The Southern African Development Community and the UNCITRAL Model Law; L. Bosman. Country overviews: Angola, Botswana, Lesotho, Madagascar, Malawi, Mauritius, Mozambique, Namibia, The Seychelles, South Africa, Zambia, Zimbabwe. Part 2: West Africa. 2. International Arbitration in the West African States; E. Onyema. Country overviews: Cape Verde, The Republic of Gambia, Ghana, Nigeria, São Tomé and Príncipe. Part 3: East Africa. 3. Arbitration in East Africa: An Overview; E. Torgbor. Country overviews: Burundi, Djibouti, Eritrea, Ethiopia, Kenya, Rwanda, Somalia, Sudan, Tanzania, Uganda. Part 4: North Africa. 4. Arbitration in North Africa: An Overview; S. Houerbi. Country overviews: Algeria, Egypt, Libya, Morocco, Tunisia. Part 5: The OHADA Region. 5. Arbitration under the Common Court of Justice and Arbitration of the OHADA Contracting States; P. Leboulanger, G. Kenfack Douajni. Country overviews: Benin, Burkina Faso, Cameroon, Central African Republic, Chad, The Republic of Congo, Democratic Republic of Congo, Equatorial Guinea, Gabon, Guinea-Bissau, Ivory Coast, Niger, Senegal, Togo. Part 6: Investment Treaties and Investor-State Arbitration. 6 . Investment Arbitration Involving African States; K. Daele. Annex 1 to Part 6: Intra-Africa BITs. Annex 2 to Part 6: BITs Entered into by Region. Annex 3 to Part 6: Ranking African States in Terms of BITs. Annex 4 to Part 6: Chronological List of ICSID Proceedings Involving African States. Appendix I: Table of Legislation. Appendix II: UNCITRAL Model Law States. Appendix III: Treaty Adherence of African States (ICSID, New York Convention, and OHADA).